Did Flight 843 make a difference - absolutely! 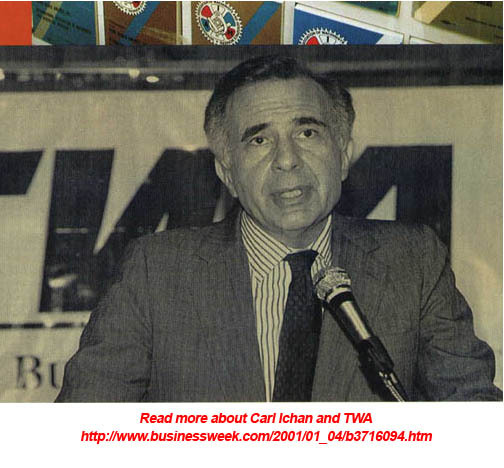 In 1985 TWA was purchased by corporate raider Carl Icahn. It was Carl's dream to own one of the most prestigious airlines in the industry. Following the footsteps of Charles Lindbergh and Howard Hughes - Carl thought TWA might be the welcome mat into the Forbes Fortune 500 Club. But a leopard cannot change its spots. Carl began to strip TWA of all of its assets - selling off precious routes and equipment to other airlines. The employees at TWA were working under the worst of conditions. Mechanics worked as best they could with old equipment. Planes were dirty, the food tasteless, and the terminals shabby.The Flight Attendants had been through one of the worst strikes in aviation history. Many were on the streets for greater than two years. Tough times for all. What was unknown to the employees in July of 1992, was that Carl Icahn had decided to liquidate the airline. Icahn had told the Vice President of TWA Operations to pick a date, sometime towards the end of August, and shut it down. Meanwhile the unions were trying to talk Icahn into selling the company to the employees. He refused to even talk to the unions.Had there been one death on Flight 843 - TWA would have been out of business the very next day. But that was not the case.On July 30, 1992, TWA was once again in the news. Merits of the crew, and the textbook perfect evacuation circled the world. Icahn called the unions on July 31 and said; "lets talk". August 20, 1992 - Icahn and the employees came to agreement. This is the one time Carl Icahn ever showed compassion. He could not deal with the concept that he destroyed TWA. Now as employee owners TWA attempted to emerge from near devastation. A long, tough road lay ahead.Returning from the brink of oblivion, the employees of TWA now worked tirelessly to once again return the grand name to TWA to its rightful position as the industry leading airline. Despite two bankruptcies, TWA became an award winning airline. J.D. Powers Awards in Customer Satisfaction and On Time Performance were proudly displayed on each and every TWA airplane. Credited with this remarkable accomplishment were the TWA employees. Unique to airlines, the TWA employees had always referred to themselves as a "family". It was passion and dedication that had set TWA apart. As wonderful as the miracle of Flight 843 was, TWA's Flight 800, July 17, 1996, would leave the TWA airline employees devastated forever. More than 50 crew members, and retirees were lost in this tragic event. Flight 800 is forever held sacred in the hearts of all TWA employees and families. For the record, TWA employees know what happened to Flight 800, and a faulty fuel tank had nothing to do with the downing of our 747. We will always remember those lost on Flight 800, they were among TWA finest. TWA no longer exists. Destroyed by one of their own: American Airlines. What corporate raider Carl Icahn could not do, American Airlines did not hesitate to do.January 8, 2001 American Airlines made a offer to purchase TWA - touting "Two Great Airlines, One Great Future". For years TWA was predicted to go out of business - and never did. 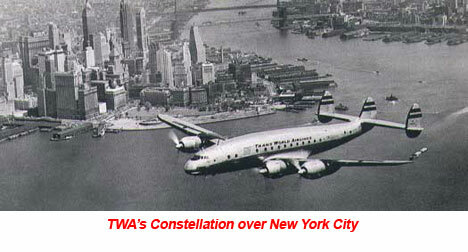 In fact TWA was making money. TWA was doing everything right and surviving. So if TWA would not go away - buy it, and destroy it. And that is precisely what American Airlines did.July 1, 2003 American Airlines, with the blessings of the American Airlines Flight Attendant union APFA (Association of Professional Flight Attendants) furloughed every TWA Flight Attendant. We were tossed to the streets without furlough pay and few benefits which quickly ran out in a matter of months. American Airlines and their union APFA treated us like a leper colony. The impact on TWA Flight Attendants can hardly be imagined. Suicide, loss of homes, savings, health and self esteem. As a senior group (primarily women) we have been discriminated against with catastrophic results. And TWA's own CEO Bill Compton ran as fast as he could with a big fat bonus for selling out his own airline TWA. To date not one TWA Flight Attendant has been returned to active Flight Attendant status. Unfortunately the union representing TWA Flight Attendants, IAM (Interntional Association of Machinists) has failed to honor their original promise protecting TWA Flight Attendant jobs as promised - clout. The IAM knowingly gave up the Scope Clause, precious contract language that protected the TWA Flight Attendants jobs in a merger/acquisition situation. The did everything wrong - and our supposed own great union leader Sherry Cooper knowingly sold us out. Sherry Cooper can be credited with destroying the careers of TWA Flight Attendants. But that is another chapter which will someday be shared.A very sad ending to the industries finest.And now sadly TWA has passed into the journals of aviation history.